You are hereRosetta rendez-vous with comet. Virtuoso RTOS on board. TThe first high resolution pictures are stunning. Later on a robotic lander will touchdown on the comet itself and start taking pictures from the surface, a feat never done before. Rosetta has several other scientific instruments on-board. The main processor for processing on-board data is a SEU and radiation tolerant version of the 21020 floating point DSP, used in a parallel configuration on boards developed by EADS. The RTOS used is Virtuoso, developed by Eonic Systems whose technology was later on acquired by Wind River to disappear from the market three years later. Altreonic’s OpenComRTOS Designer is the 4th generation of Virtuoso. Redeveloped from scratch using formal techniques, OpenComRTOS offers more scalability, portability and modularity than ever before but with a code size that is about 10 times less. Work is underway for a new branch codenamed VirtuosoNext. Just like for Rosetta, a long journey will have preceded OpenComRTOS Designer and VirtuosoNext. It started in 1991 when the first parallel RTOS for the transputer was released. Still unique, it represents accumulated years of experience in combination with a formal approach. Keeping it simple but smart has been one of the foundations of its design. It results in a unprecedented performance and ease of use specifically for (heterogeneous) parallel or distributed systems. Yet, today it also replaces more traditional POSIX-style RTOS that require 50 times more memory. Code size still matters! 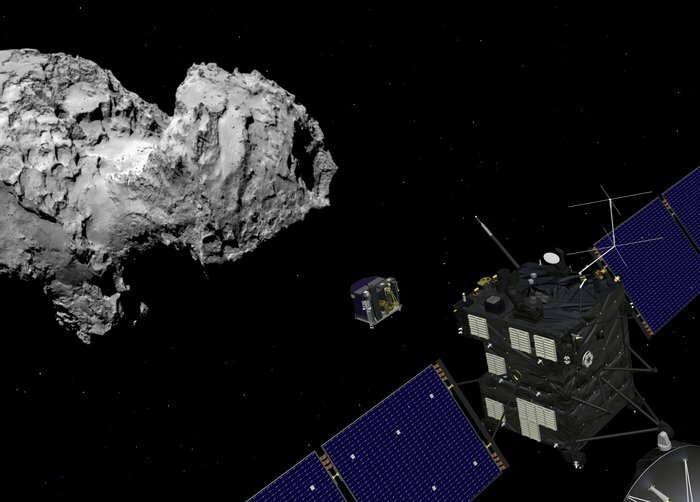 The Rosetta mission is an unprecedented scientific and technical achievement. It required the cooperation of several nations and 1000’s of scientist and engineers. We are proud to have made our small contribution. More information on Rosetta at the ESA website and in the book on Rosetta.